Since 2010, Diamond Select Toys has been searching to find the right partner to introduce their Battle Beasts brand to a broader audience. 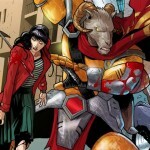 Now the search is over, and DST and IDW Publishing have teamed up to immortalize a new breed of Beasts! 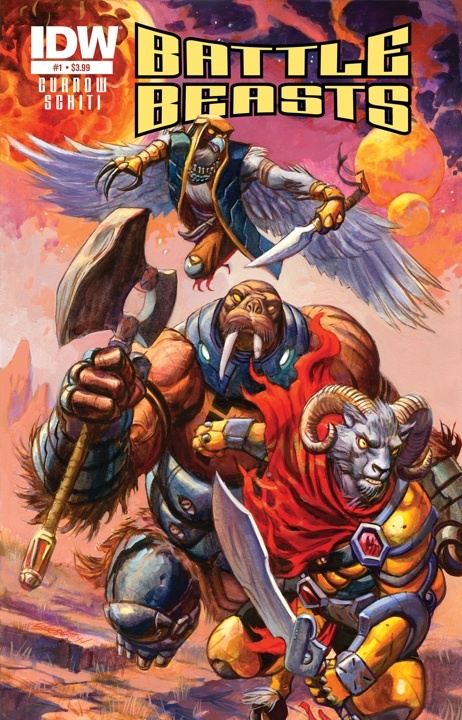 At this year’s Chicago Comic and Entertainment Expo (C2E2), which runs from April 13-15, the two companies will offer a taste of what’s to come: DST will give out an ashcan preview of IDW’s upcoming BATTLE BEASTS comic-book mini-series, as well as an exclusive promo Minimate of one of the book’s lead characters! 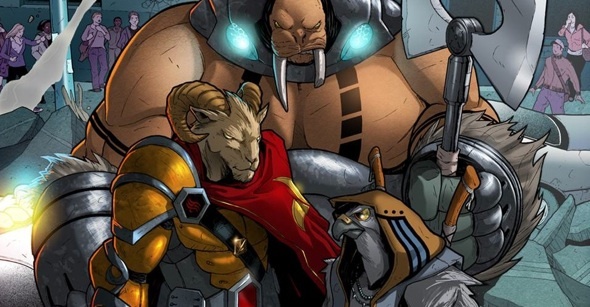 And the excitement does not stop there — at San Diego Comic-Con (July 11-15), IDW will launch the BATTLE BEASTS mini-series with issue #1, and DST will unveil the first full wave of Battle Beasts Minimates, which will be in stores in late fall of 2012! The first wave of two-packs will focus heavily on characters who appear in the comic, and will have a gameplay element, as well. 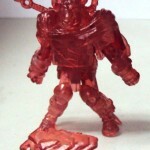 DST will also have an exclusive two-pack of Battle Beasts for sale at the show. 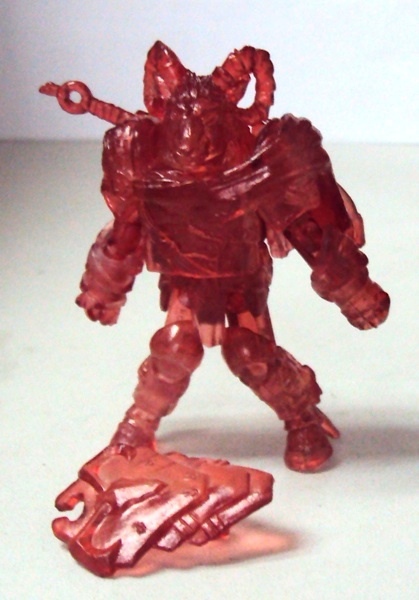 Minimates are 2-inch minifigures created by Art Asylum in 2002. This year marks the brand’s 10th anniversary, and in that time Diamond Select Toys and Art Asylum have released over 1,000 Minimates for nearly 50 separate licenses. 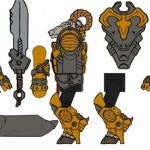 Highly detailed and highly poseable, each Minimate features 14 points of articulation and comes with plenty of interchangeable parts and accessories. 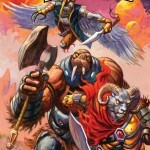 BATTLE BEASTS #1 ($3.99, 32 pages, full color) will be available in stores in July 2012. Visit IDWPublishing.com to sign up for updates and learn more about the company and its top-selling books. 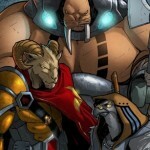 And visit BattleBeast.com to learn more about the Battle Beasts! 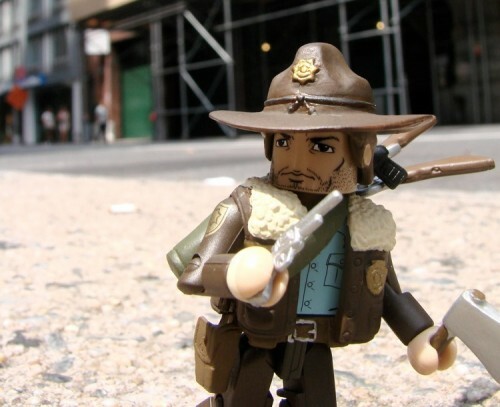 Next Up: The Walking Dead Minimates Are Alive and Kicking!